As Netflix has amped up the amount of original content they’ve been releasing over the past couple years, viewers have been showered with a plethora of amazing shows, including House of Cards, Orange Is the New Black, Daredevil, Narcos, Jessica Jones, Grace and Frankie, Unbreakable Kimmy Schmidt and more. But as the Netflix catalog grows, we’ve also seen some misses hit the small screen. Flaked and Love were subpar compared to the awesome shows mentioned above, to name a few — but did The Ranch just set the record for the worst Netflix show to date? Being that the newly released sitcom is one part The Big Lebowski, one part Terms of Endearment, two parts That ’70s Show and revolves around a dysfunctional farming family trying to save their beloved ranch, well, the show seemed promising. But not even the stellar matchup of Sam Elliott, Danny Masterson, Ashton Kutcher and Debra Winger could save this series. In fact, many Netflix viewers were left wondering if the April 1 release date of The Ranch wasn’t a coincidence. One of the glaring faults of the show is the strange juxtaposition of a traditional sitcom format with an overreaching effort to seem topical and edgy. On the traditional side, the show is shot on a cheap-looking studio set before a live studio audience, and the actor’s delivery of lines is in the old-fashioned style of say the words, wait for the laugh, then continue. While the set and the acting harken back to a time and place where hearing the word damn on prime time TV was unheard of, the characters on The Ranch let the four-letter words fly at whim. There are also pop references gone wild — we’re talking Shania Twain lyrics, Tom Brady Deflategate references, the moon landing, Obama being elected president, Al Gore’s global warming conspiracy and more, all before the 15-minute mark. It kind of seems that, like several other current shows (I’m looking at you, Supergirl), The Ranch overuses pop culture references in an attempt to seem progressive and relevant. For a show that is trying so hard to seem fresh and edgy, why use the antiquated laugh track? Then there’s the curious case of Kutcher’s accent. Sometimes it’s there, sometimes it’s not. Sometimes it’s bad, sometimes it’s really bad. And then there are rare moments of clarity, and he’ll utter a “hi, mama” in a perfect Southern drawl. It’s safe to say Kutcher has a couple shekels tucked away by now and could definitely afford to cough up the pocket change to work with a dialect coach for a session or two. If you’re gonna put together a budget for a new series and hire an awesome cast, why not put a little effort in? In fact, that’s kind of the theme for the whole show: it feels like everyone showed up on set and half-assed it. Another fault of the show is the squandering of the classic Masterson and Kutcher chemistry. While there some Kelso and Hyde-esque qualities that peek through (Kutcher’s Colt is the zany personality while Masterson’s Rooster is the straight guy with the witty one-liners), the writing fails to let the previous chemistry of the two actors shine. The Ranch is not without highlights, however. It’s a guilty pleasure to watch Winger drop some serious F-bombs, some of the jokes do land, Elisha Cuthbert is a breath of fresh air as Colt’s ex-girlfriend, and it’s punctuated with moments of honesty on Elliott’s part throughout — but would we expect anything less of him? The biggest tragedy is that this show had so much potential. Perhaps it’s just because hopes were so high for The Ranch, but the show might go down in history as one of Netflix’s biggest disappointments. 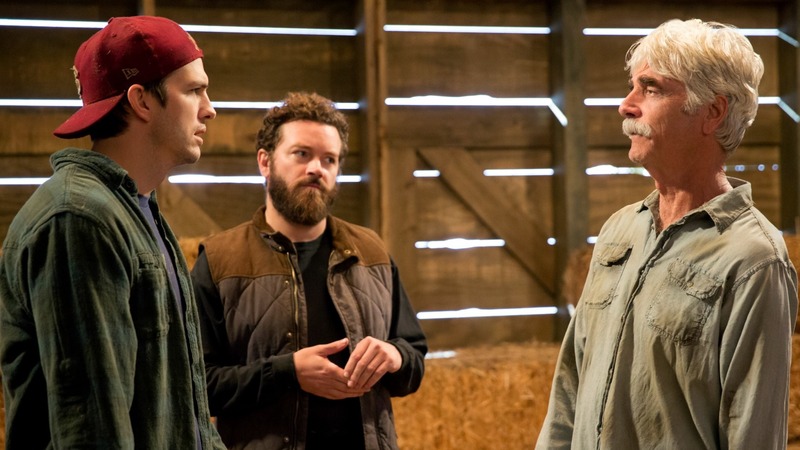 What did you think of Netflix’s The Ranch?